Making people smile since 1980, Rite Bite Denture & Implant Clinic can fit you with dentures so natural that you will never know the difference. 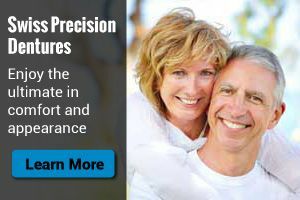 If you have recently learned that dentures may be necessary or have experienced denture-related problems, our skilled staff has your solution. Schedule a free consultation at our Mississauga or Oakville locations and let Rite Bite Denture & Implant Clinic discuss your options. We are pleased to provide written estimates and accept all dental plans. No dentist referral is necessary. For the past 25 years, this dental implant clinic has been devoted to the fabrication and repair of all types of dentures and appliances used to treat snoring and mild to moderate sleep apnea. Our modern facilities are fully equipped with on-site labs, so you can rest assured that we are the ones who will do the work. We can customize or alter any full denture, partial denture or dental appliance to meet your exact needs. 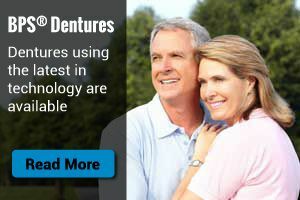 Rite Bite Denture & Implant Clinic is known for cost-effective and timely service. You will enjoy a comfortable fit at a reasonable price from out dental implant clinic and our team dedicated to recreating the natural character of your smile. For more information about our dental implant clinic in Mississauga, contact us today!